I was visiting my friend BenZ. 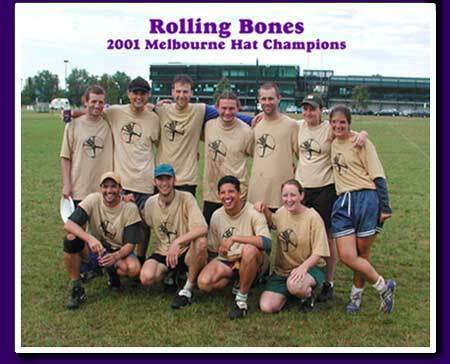 down in Singapore when he decided i should accompany him down under for the 13th Annual Melbourne Ultimate Hat tournament. Well, we flew down there, ended up on the same team, The Rollin' Bones, and pretty much cleaned house, winning the 22 team tourney undefeated. Cheers to Ben and our Aussie mates for a well run tourney.